Digital marketing, best digital marketing, digital marketing in agra, FB, Facebook Promotion | J2 Soft Solutions India Pvt. Ltd. | J2 Soft Solutions is the best business promotor in acrros india, north india best digital marketing company, dedicated team working, everything is one roof solution, best website development company, J2 Soft Solutions is best platform to develope your business. With time, ways of collecting information has also changed. We are now less interested in traditional media like radio television or newspaper, and more focused on new social media for gathering information. With the advent of social media our way of communication changed giving a scope of directional feedback. This an evolution which allows companies to promote themselves through social media such as facebook and at the same time they also need to understand the preferences of the face book users. Facebook is a great tool for B2C marketers who can offer discounts, promote sales and retarget buyers but these tactics does not work on B2B and in this new age when people look for your company’s profile before doing business with you and you don’t even know which platform they are going to look for so don’t miss out to cover all your bases and just be patient with facebook to catch up with your customers. 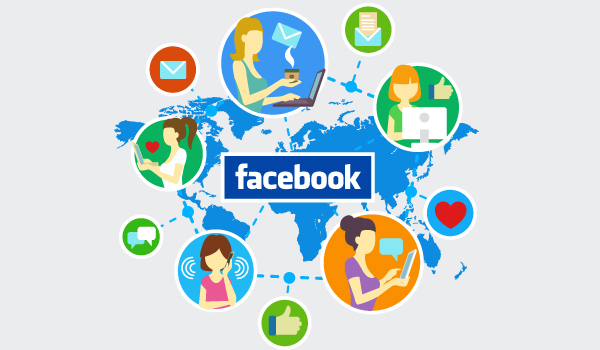 You can target your customers through facebook advertising. Targeting can be very specific, getting the right clients within your geographical locations, age, gender and now you can also target prospects based on their jobs or major live events they have listed. This is extremely useful in terms of reaching new list of prospects and introducing your business. Just having a facebook page of your company won’t help. Keeping up with the trend is very important so don’t forget to update the latest breaking news which will keep your customers and prospects updated and informed. Offer incentives to convince people to buy your product and get them to visit your website. If you are offering a product or a service don’t forget to create an ad that promotes a free trial of your product. The best way to do this is to highlight your employees. Keep sharing pictures how happily they are working and also share reviews mainly positive reviews to show how you operate.